Rial CCTV Camera’s Smart Parking Security Solution makes security easy. With Smart functions, our surveillance cameras, recorders, and access controllers work for you, making your job easy. 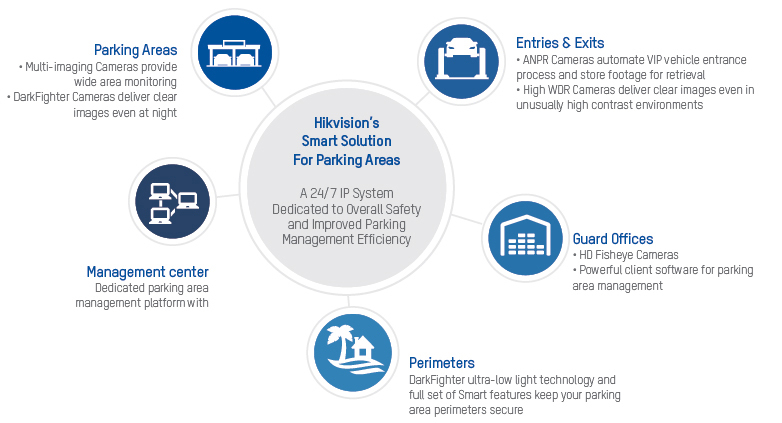 With a powerful central management platform, cameras that capture sharp color images in extremely low-light environments, automated vehicle number plate recognition, and much more, Rial CCTV Camera provides everything your parking area needs to ensure efficient, intelligent management – 24 hours a day, 7 days a week.